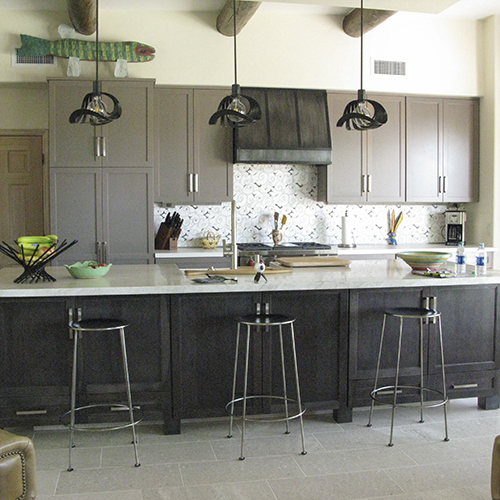 Here is a recent wrap up of one of our kitchen remodels. We tore out the original kitchen, laundry room, sitting room, and breakfast nook. What went back in these spaces is truly amazing. We are finally finished with this conversion of the garage! 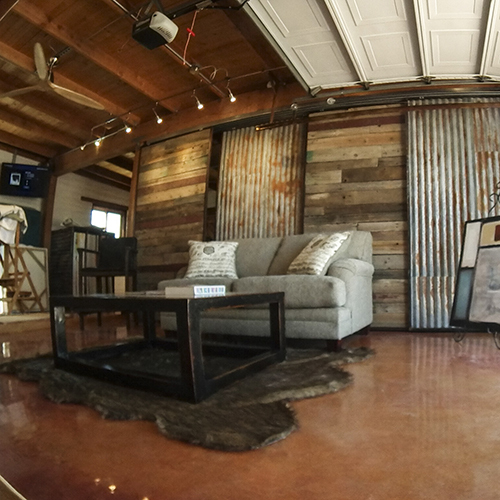 This rustic studio has new epoxy floors, custom barn doors, sittings area, and a separate are for storage and art display. We also put in a screen door so she can still open the doors without any hassles. We customized barn doors so she can open and close from both sides. 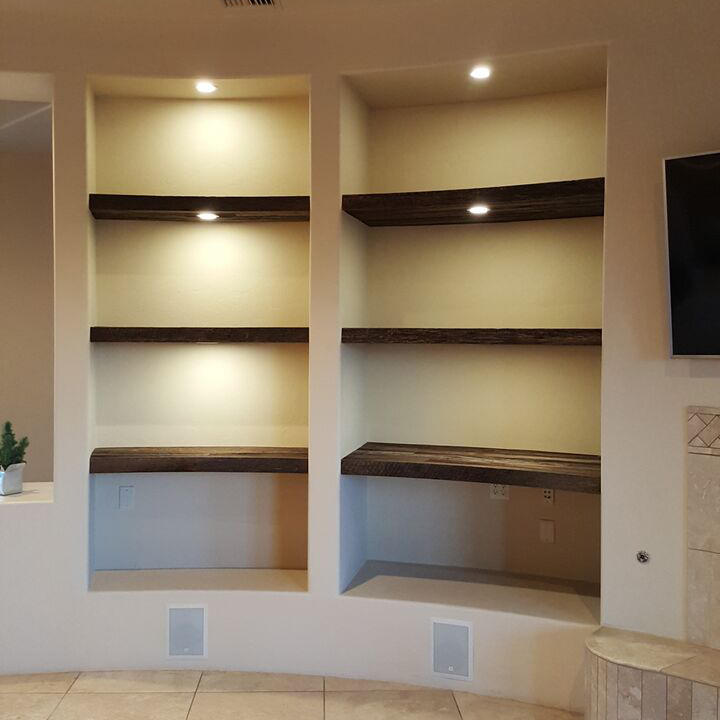 There were tons of small details from custom lighting, screen door tracks, art containers to allow for easy storage, without worry. This could not have been a more fun project to watch come together! The original deck had rot throughout the beams, rafters and decking. It had gotten to a point where it was unstable. We went in and tore everything out. Made some design improvements along the way. The stain and protectant really add to the beauty. A great place for morning coffee! Thanks to Jim Ward and the guys over at Award Installations. The Brudi deck and pergola project turned out great and Mrs. Brudi could not be happier. It had to be handicap accessible and strong. 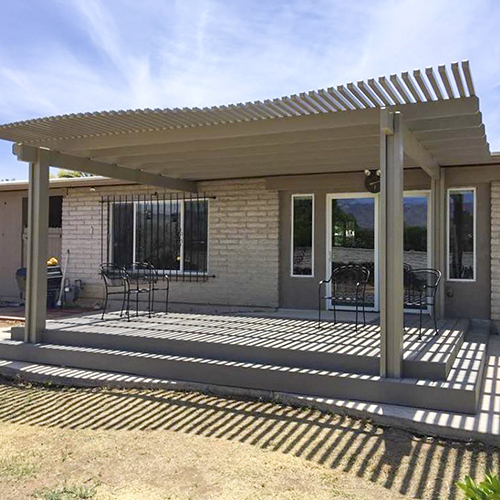 Started by replacing the old rusted rain gutter with a seamless gutter. The substructure to the deck is all steel and the pergola is aluminium. 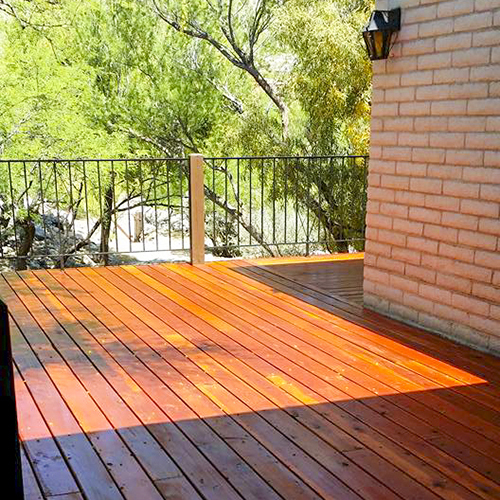 We used a synthetic decking material with a hidden screw system. This thing is strong enough to park a truck on and maintenance free! This job was 2 parts. 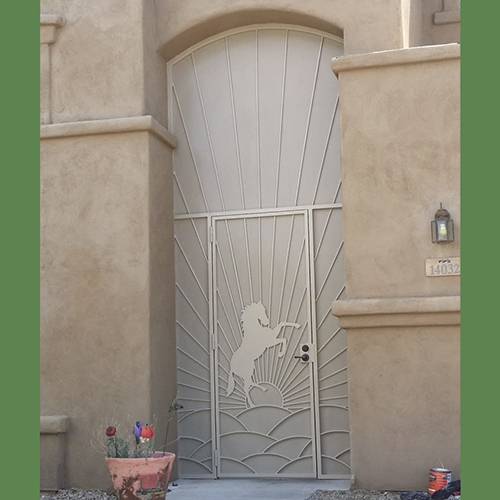 First, we restored the door and then we did the outside metal security entry around the door. So glad we could rescue this beautiful door. It was simply too nice of a door. To replace it would have been a sin. We were able to get it straightened up and even improved the look of the interior trim. 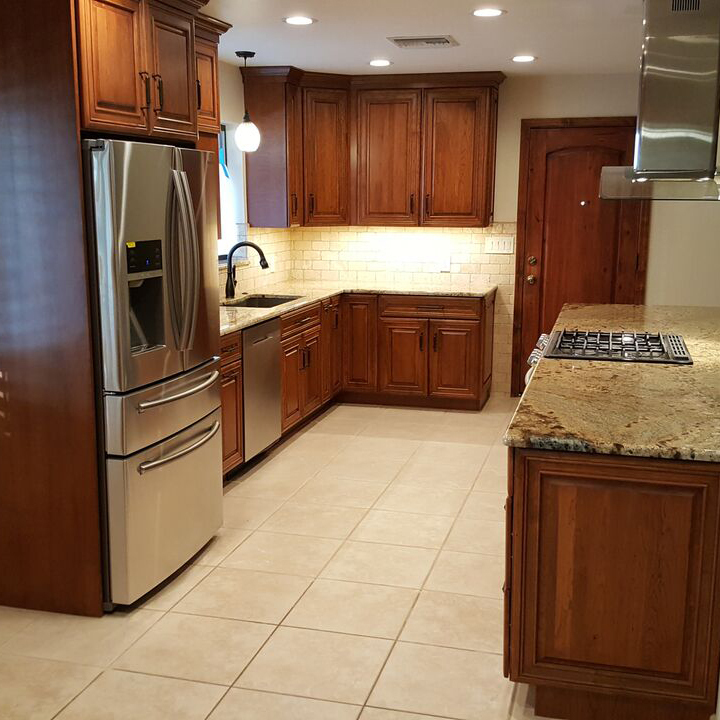 A few months ago, we went out and restored a weathered custom door and gave it a face-lift.